THE Steak House has recently been named Top Las Vegas Steak House by Zagat. 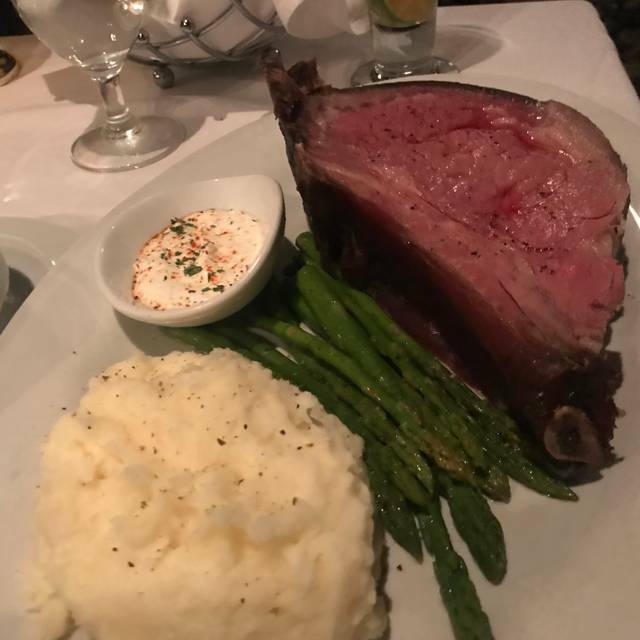 THE Steak House has been thrilling diners with it’s top grade meats served by a friendly, gracious staff for over 34 years. 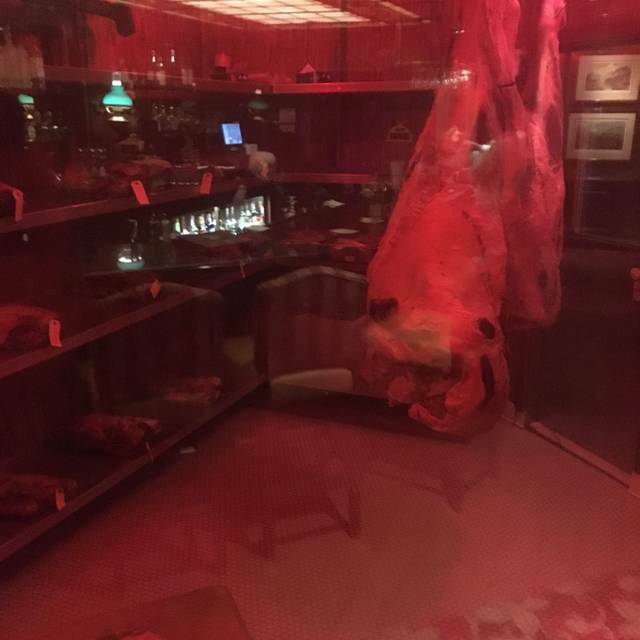 THE Steak House also features a glass enclosed dry aging locker. Top grade Midwestern beef is aged for 21 days at 37 degrees Fahrenheit & 67 percent relative humidity. This process tenderizes the meat & gives it a distinct flavor, which is further enhanced by preparing the beef over an open-hearth mesquite charcoal broiler. Once inside the dining room, you will feel right at home. Rural-themed paintings adorn the green walls. The room is rich with dark woods, diamond tufted red leather booths, creating a cozy den-like ambience. Dinners include fresh baked breads, choice of our famous black bean soup or house salad plus a Chef's fresh vegetable & choice of garlic mashed potato, baked potato, or wild rice blend. Food and service were both excellent. 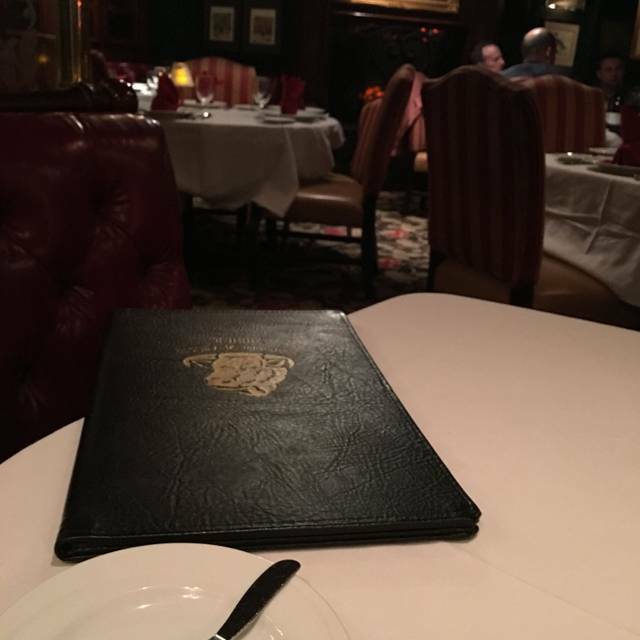 Old school steakhouse with a very nostalgic vibe. An unexpected gem within the caos of Circus Circus. The filet was prepared perfectly. Our server Tyson and all the staff were very attentive. The price was a bit higher than expected but still a good value for Vegas. Quantity outweighs quality. Service slow and spotty. Used to be much better. We request Michael every time we visit. He was great as always. As was everyone!! Been going to this restaurant for over 30 years! Food and service has ALWAYS been superb! You’d never know that you were inside the very noisy Circus Circus Casino. Atmosphere is always quiet and serene. Very highly recommend this restaurant. You won’t be disappointed. At first, it seemed like we were forgotten. We watched 1 waiter walk up with his notepad, then continued to walk passed us. He walked around the entire area where we were seated, didn’t stop at one table, then walked back down the stairs on the other side. We were kind of upset about that. But then Roberto came and completely made our night amazing! My sister and I were taking our Mom out for her Birthday, and Roberto totally made it an amazing night! He completely surpassed our expectations! It was worth every penny! I’m glad we didn’t get the first guy as our waiter. Roberto definitely went above and beyond! Thank you Roberto for making our night out truly amazing!! Very good service and wonderful food. The “Petite Filet” was delicious. Even though it was quite busy, we had excellent service. My all time favorite steakhouse in Vegas. Period. Awesome as always! 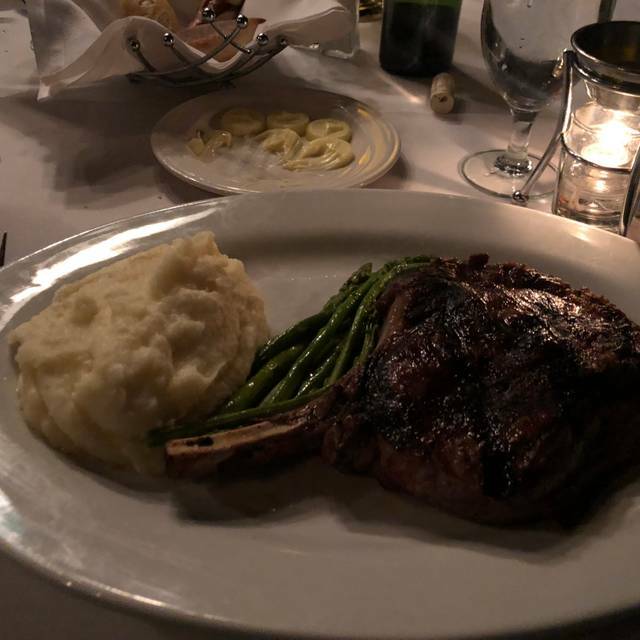 The best steak in LV! I've dined there at least once a year (during the NAB Convention), for several years. Always excellent! I was not able to make reservations for this highly recommend restaurant on open table for weeks in advance only spot was for 9:45 pm. I managed to get a reservation on Sunday at 5:45. The restaurant was empty! My point is that you should not rely on open table and call the restaurant! The food was excellent. The steak was cooked perfectly the sides were great and the salad was good too. My server Roberto was an old world type waiter. Great service refreshingly not pretentious! Unusual to find a steakhouse that doesn’t rip you off. Good value good food great service! I’m a fan! Still the only restaurant that is on the agenda for every Vegas trip. Ron and his staff are very attentive. The food is excellent every time. 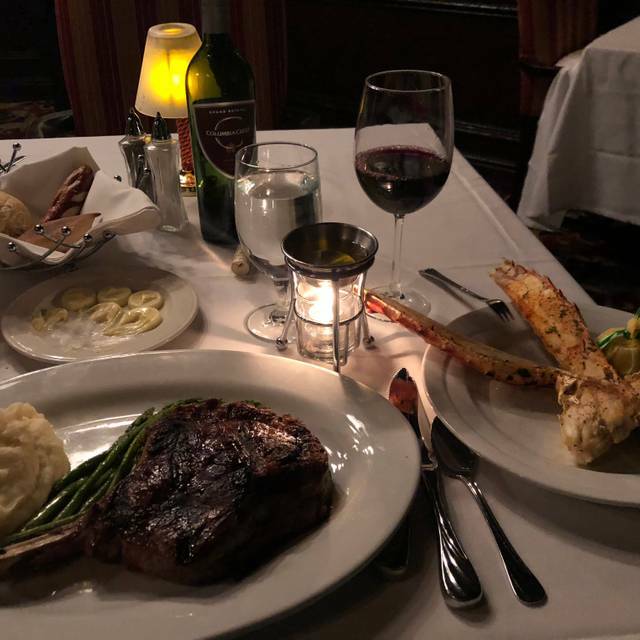 It is the best value for all of the steakhouses we have visited, and we have been to many of the Vegas steakhouses. 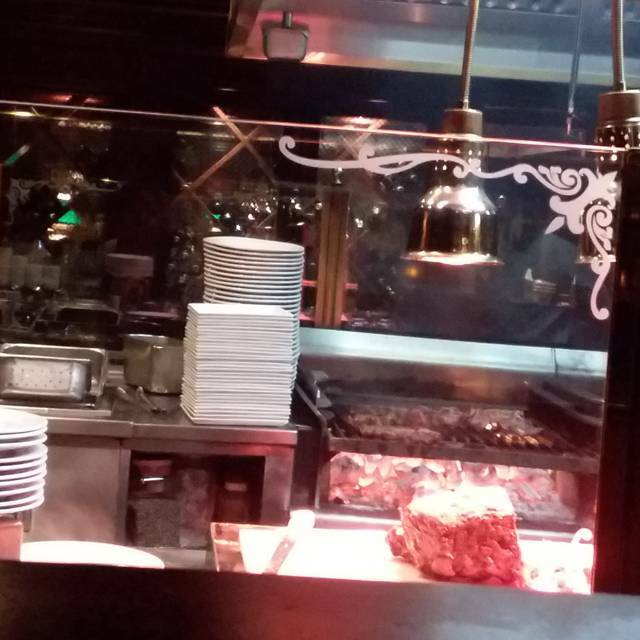 Highly recommend The Steakhouse At Circus Circus for any occasion. You won’t be disappointed. Never had better service from restaurant staff, the food was delicious! The filet was delicious and tender. Felix our waiter was FANTASTIC!! Very attentive and friendly!! A hidden gem! Birthday. Noisy table next to us. Great place to eat. We dined here at least three decades ago and don’t know why we waited to go back. It’s awesome. Be coming back soon. Yes I. Recommend. The remembered quality was as good as the 1990's. Aged meat and mesquite for grilling..what more can I say! Quiet atmosphere and spectacular service! We were happy to get out of the hustle and bustle and have a relaxing meal. Ron The Steakhouse Manager and his staff are top notch. 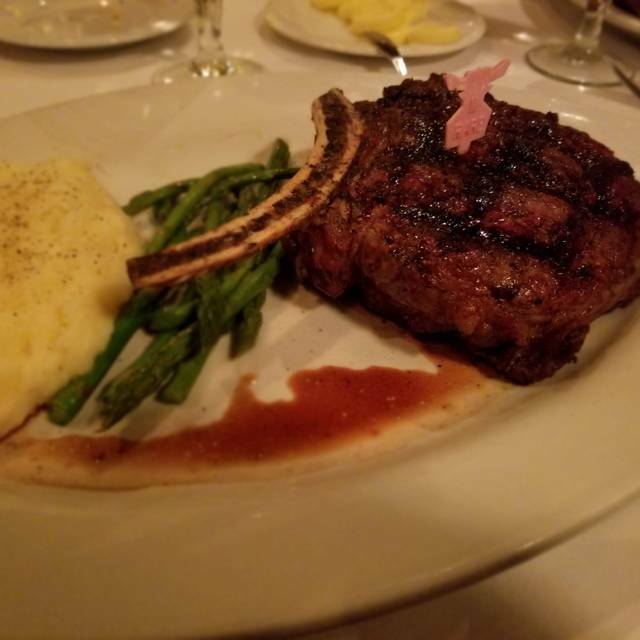 I never miss dining TWICE at The Steakhouse every year I travel to Las Vegas. Don't let the fact that this very fine old school steakhouse is housed in Circus Circus keep you away from dining here. Food and service is ALWAYS EXCELLENT! We all enjoyed our steaks, they were BIG....definitely worth the price. It was fun to be able to watch them being cooked. We would recommend this place to everyone!! Seems like every time I do a search for great steakhouses in Vegas, this one pops up so I decided to give it a shot. Bottom line it was good, not great. I had the larger filet and my wife had the chicken. The nice thing is the entree's come with choice of potato and a vegetable (asperagas) . I should have asked beforehand and asked for another choice! Like I said, the steak was good and cooked right. It came with a side of bernaise sauce, which is not my thing. The steak was like $67 and my wife's chicken was $40. My wife is a very picky eater, but loved the chicken. 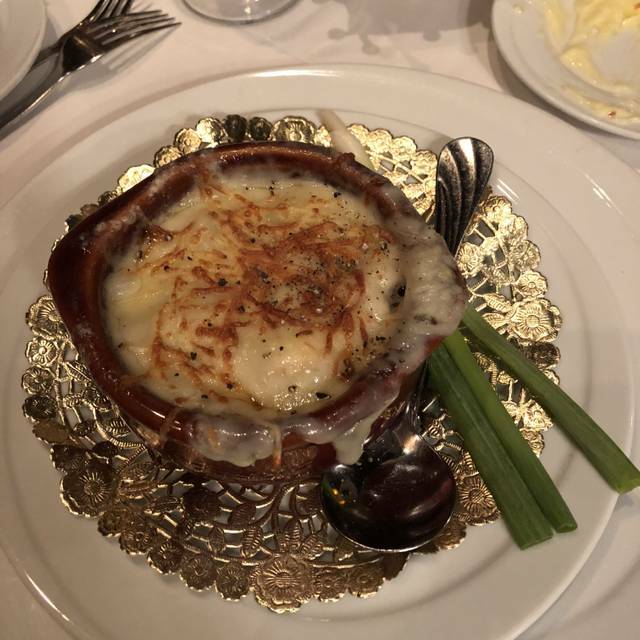 We both ordered the onion soup which was like $12 each... it was good and I polished it off, my wife said it tasted funny and did not finish it. One thing that I thought was odd was that the entrees come with either a house salad or bean soup...we did not receive a discount for the onion soup and were not offered the salad (or bean soup). The bill with tip came to $150. One thing to note... this is inside Circus Circus, so there were many kids inside and it was a bit noisy. The best steak I have ever had was at Prime inside Bellagio... but that was a $400 tab!! We experienced fine dining, the same fine dining as 20-years back. The steak cooked to perfection that melts in your mouth! Celebrating 2 friends birthdays in Vegas. Classic old steakhouse where they cook the steak to perfection. Garlic mashed potatoes were very creamy and tasty. They will always serve asparagus as the veggies 365 days! Service was a bit slow but not terrible. A/C was finicky so it was a bit stuffy. Overall highly recommend the restaurant but wish it were not at CC since you have to dodge strollers, wandering kids, cigarette smoke and drunks to get to it. The only complaint i have is that it was either hot or cold in the restaurant. There wasn’t a happy medium. But everything else was EXCELLENT!! Very nice dining experience. Great food and service. This was the third visit to the restaurant during the past ten years. 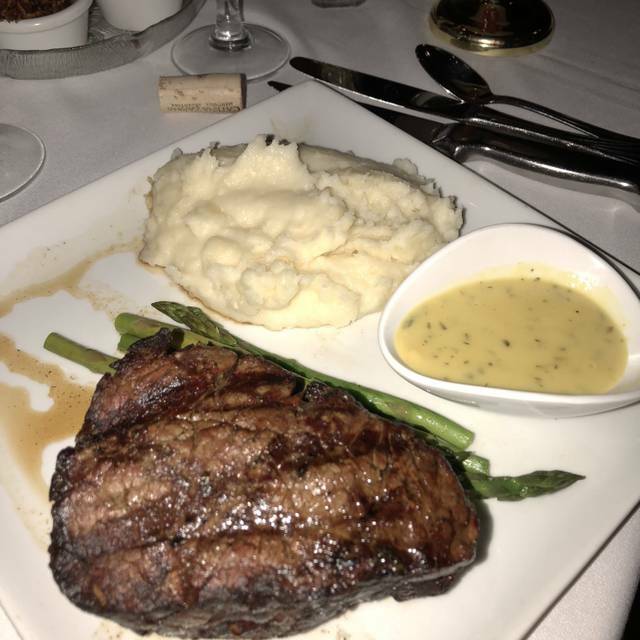 Excellent as always, and reasonable value compared to the typical Las Vegas strip steakhouse prices. We went for a milestone Birthday celebration; table for two. The ambiance is classy, low noise and intimate in a booth seat. Our server Roberto (and his assistant) was personable, honest and efficient. We were encouraged to relax and take all the time we needed for our special occasion, which was very appreciated! This is a wonderful off the beaten path dining experience. Old school Vegas. Our server was fantastic. Highly recommend. the best place for a steak in Vegas. Great service.Old School Vegas atmosphere and treatment. Love it. We asked for Table 12 or 13 and were seated in a booth . It was a very tight squeeze to either enter the table or leave. The steaks were impeccable as always. We always enjoy coming. Excellent food and service! Best steakhouse in LV! Best dinner in Vegas and AMAZING steaks!!! Will definitely be back!!! Best steak I've ever eaten! The baked potato included a generous portion of bacon. It was a great way go top off our trip. Another fine meal from a very professional staff. Food excellent, waiter very excellent . The best in Vegas. I have a conference every year and am hapoy to take my clients too the steak house. The service is at the top and alwYs hapoy with my experience.